It has been a while since we last posted and Elliott has been busy, busy, busy. 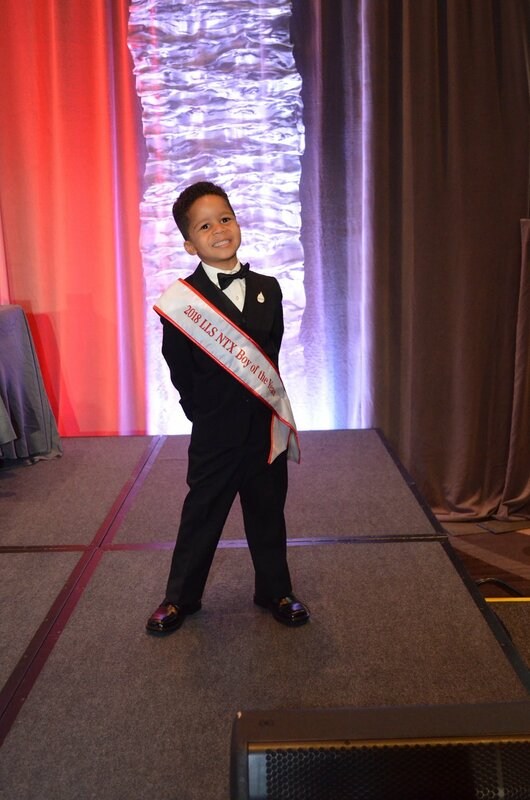 Earlier this year Elliott was named the Leukemia and Lymphoma Society of North Texas (LLSNT) Boy of the Year. 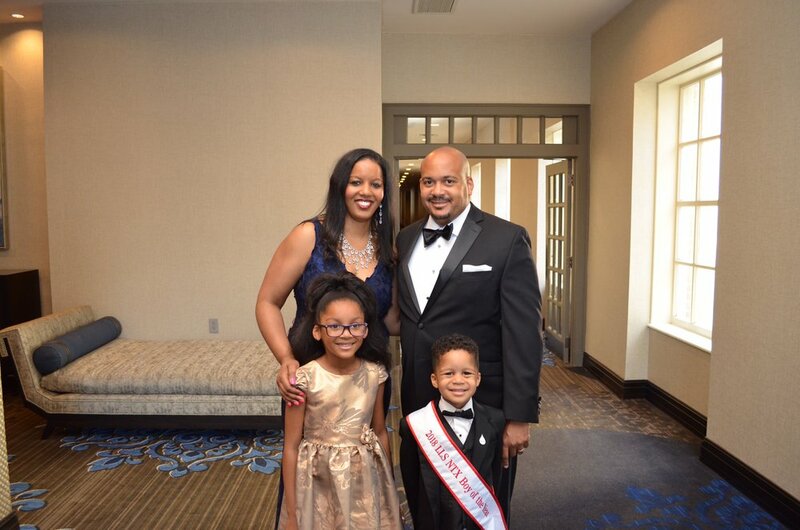 As Boy of the Year he participated in several fundraising events over the past two months, including galas in both Dallas and Fort Worth for the announcement of Man of the Year and Woman of the Year. 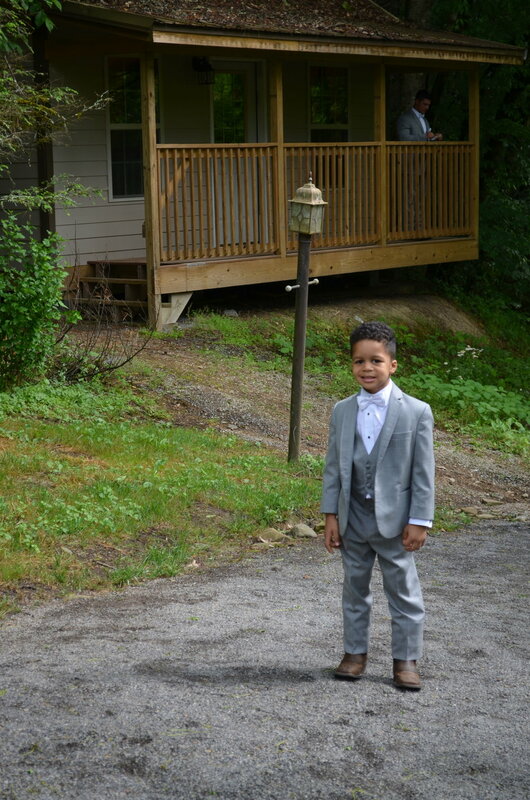 Last month he served as the ring bearer in the wedding of his former nanny, Rachael. The wedding was on his 5th Birthday and he even managed to catch the garter at the reception! 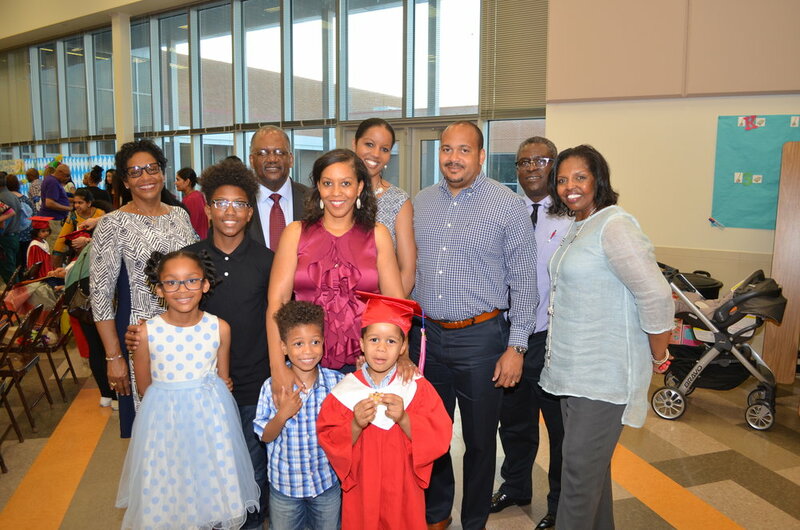 This past weekend was Elliott's Pre-K graduation. 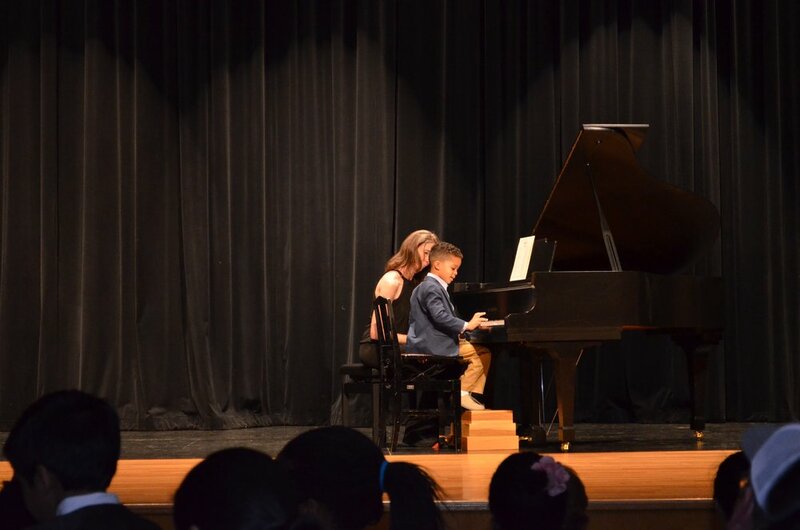 He also had a piano recital. It is great seeing Elliott having so much fun. More fun to come! Day 1393: Elliott enjoyed wearing cowboy boats like the rest of the groomsmen. The groom is in the background reading a note from Rachel. Day 1320: The port is out! Day 1,320: The port is gone! Well, after having two separate procedures within 3 days of each other is what it took to get Elliott's port out, but it's out! All of it! During the first surgery, the surgeon had more difficulty than he thought he would removing the 3 1/2 year old port and ended up having to leave a portion of the catheter in near Elliott's collarbone, so we went back today so that international radiology could remove the remain part. They ended up having to insert a catheter into his groin and weave it up to his neck where the pulled out the catheter that was still there. Elliott handled both procedures very well and woke up in a good mood. He enjoyed several Popsicles both times and had a few doses of Motrin Friday night and Saturday, but other than that, he barely seems phased by it. It will take some getting used to the port not being there. To be honest, I liked the port because we could just putting some numbing cream on it and Elliott never once cried or seemed nervous about getting it accessed with that huge needle that looks more like a nail than a needle. Next week will be his first oncology appointment EVER without his port. He still has to get bloodwork each month, so there will be pokes, but just not in the port. The port was mainly used to administer chemotherapy and since that part of the treatment is over, he doesn't have a need for it. He also still has 3 more Pentamadine breathing treatments to help prevent pneumonia while his immune system recovers. I will post more later, but right now, I am exhausted and need rest. We are excited to have made it to this milestone!! Just minutes ago Kyllan administered Elliott's final dose of chemo. As usual, we administrated this particular medication at night while he sleeps. Knowing that he would be asleep, we celebrated earlier in the evening with cupcakes and a dance party. Elliott's care has been the overriding priority for the Cody family for the past 3 and a half years. Completing his treatment has been a little overwhelming. We will post more about it once we have had a few days to collect our thoughts. For now, enjoy a clip from our dance party. I plan to pull this one out in about 12 years at Laurel's high school graduation party. Day 1192: Elliott meets with representatives from the Make-A-Wish foundation. I can't believe it. We are almost there. In two more days Elliott will be done with chemo! We give him his last dose at home on Monday evening. The past few weeks have been so exciting. In addition to all the conversations about ending treatment, Elliott was selected as a Team in Training honored hero for the Austin Marathon by Avery Denision, who is using the event to raise money for the Leukemia and Lymphoma Society. We also learned that Elliott is going to be a Make-A-Wish kid. We met with representatives from Make-A-Wish North Texas last week to discuss some of his favorite things at a party hosted by Dave and Busters. To celebrate Elliott's end of treatment the Codys are participating in the Leukemia and Lymphoma Society's Light The Night event on November 11th. The half mile walk begins shortly after sunset in Trinity Groves. Survivors will carry white lanterns, supporters red lanterns, and gold lanterns will be carried in memory. (Celebrating by illuminating the darkness and making strides towards a cure.) Some family and friends are joining us for the event and will be wearing team Elliott t-shirts. Let us know if you are interested in walking with us at the event. (Call, email, or leave a comment.) Kyllan has been raising money for the Leukemia and Lymphoma Society through the event. Please visit Kyllan's Team Elliott fund raising page if you are interested in donating. Day 1192: Laurel and Elliott received gift cards at the Make-A-Wish Foundation party hosted by Dave and Busters. They played games for nearly 4 hours! Day 1,181: Elliott’s Last Lumbar Puncture! Hooray! Celebrating the last lumbar puncture with ice cream cake! Today was Elliott’s last lumbar puncture. I lost count of how many he has had a long time ago. I would estimate it has been around 30 or 40? He used to have one each month until this last part of the maintenance phase of his chemo. As usual, he handled it like a champ. I continue to be amazed that he is cool, calm, and collected as they access his port. He has never once cried or seemed afraid. He truly is one of the bravest kids I know. His favorite nurse, Amanda, took care of him today, so we got a photo with her and one of his oncologist while we were there. After his appointment, he requested to go to Chick-Fil-A for lunch. Such a cheap lunch date! My mom, and William's mom joined William and I at his appointment today to celebrate the milestone. Once Laurel got home, we decided to continue the celebration by doing something fun. We decided to go to Round1 in Grapevine, and both the kids and adults had fun just playing in the Kids Play Zone. After that, we grabbed a quick bite for dinner and closed out the evening with ice cream cake. Elliott will officially be done with treatment on November 6th. He will take his last dose of the chemo medication we administer at home that evening and that will be it! Although that will be the end of his chemo, we will still be going to the oncology office on a monthly basis for the next year to check bloodwork. He will also get the intravenous immunoglobulin (IVIG) for the next 3-4 months and continue the antibiotic for 6 months. These will be in effort to keep him from getting sick while his immune system is recovering. One way we are going to commemorate the end of his treatment is by participating in the Light the Night event hosted by the Leukemia and Lymphoma Society. The event in Dallas will be on Saturday, November 11th, just a few days after he completes his treatment. If you would like to join our team or make a donation, please visit our Team Elliott Light the Night fundraising site by clicking here. Elliott's favorite nurse, Amanda. She's the best ever! Dr. Lenarsky and Elliott before his last lumbar puncture. This past Monday (Day 1,095) marked 3 years since Elliott was diagnosed with Acute Lymphoblastic Leukemia (ALL). This past Monday was also Laurel's 6th birthday. Much like the past two years, we made a concerted effort not to allow the occasion overshadow Laurel's big day. There were, however, a few brief moments were Kyllan and I reflected on just how far Elliott has come. We are blessed that Elliott continues to do so well. Last month he had a slight fever, and we were concerned we might have to take him to the hospital. It broke just before it reached the point where the oncologist would have become concerned and we were able to stay home. That was the first time in over year that we faced the possibility of hospitalization. As we move closer and closer to Elliott's end of treatment date it was a reminder not to take his continued progress for granted. After chemo this past Tuesday Laurel and Elliott went to visit my parents in Florida. They will be back in time for Laurel to begin 1st grade. Until then Kyllan and I will be forced to find ways to keep ourselves busy. When they do return Elliott will begin piano lessons. It will be interesting to see how that turns out! Day 1092: Laurel's 6th birthday 2 days before her birthday. Day 1032: Elliott's 4th birthday party. We thought his choice of a super hero theme was fitting. Day 991: Elliott was finally able to attend the University of Dallas Easter egg hunt. He missed the 2015 and 2016 Easter egg hunt due to chemotherapy. First, Elliott is doing great. A lack of post always means things are going well. Elliott is still in remission and on track to complete chemotherapy this November. One of the reasons it has been hard to find time to post is that Elliott is doing so well that the kids now have activities planned 5 days a week. We are struggling to keep up with their social calendar. Today marks 1000 days since Elliott began treatment for T-cell acute lymphoblastic leukemia. It is hard for me to even wrap my brain around that. The first 500 were taken just one day at a time, so the passage of the time did not even register. The last 500 have been filled with so many activities that they have breezed by without me noticing. Both the first 500 and the last 500 days have been exhausting, but recently it is the good exhausting. Elliott began playing baseball earlier this month. For me it has been another sign that he is a healthy, active little boy. It has provided me with both joy and relief to see him running around with all the other kids. He has come a long way since the months of physical therapy to help him learn to walk after chemo caused enough pain in his limbs to prevent him from taking his first step. Beating cancer with a big smile on his face, but still scared of the dark. Day 990: Elliott began baseball this month. I was surprised by the joy and relief I felt seeing him playing with the other kids at his first game. He has come a long way. Day 900: Start The Countdown! Day 845: At his clinic visit this past November we official started the 1 year countdown until Elliott completes chemo! Elliott has been doing great since our last post. Between work and the holidays we have been a little distracted, but in 2017 we are going to do a better job of keeping everyone up to date on Elliott's progress. The big news is that the countdown has begun! Elliott is scheduled to complete chemotherapy in November of 2017. ChemoTuesday is tomorrow, and then he only has 10 more visits to the oncology clinic for chemotherapy! I will make a post later this week with some pictures from Thanksgiving and Christmas, but I wanted to share this news! Thank you everyone for your continued thoughts and prayers. We are getting close! No news is good news. I was hoping to make more posts during Childhood Cancer Awareness month, but that didn't work out so well. Between work, the kids, CrossFit, ballet, Kumon, piano lessons, and everything else, I have been getting about 4-5 hours of sleep each night, so I am exhausted. It doesn't help that I am a night owl and almost always stay up late, just as I am now. However, as soon as I finish this blog post and give Elliott his nightly medication, I am going to sleep. Elliott had his monthly clinic visit for chemo last Tuesday and I tried to document the day through photos and video, but Elliott had a lumbar puncture and woke up very cranky from he anesthesia, so I didn't do as much as I originally planned. I did put a few photos below and some of you may have already seen he video of Elliott being cranky after anesthesia. Elliott continues to respond well to treatment. He has a little over a year left, but we only have to take him to treatment once a month instead of several times a month. Other than being a little more tired on some days, and cranky when he is on steriod week, he really doesn't seem to experience side effects, which is great. He is in school and enjoying interacting with friends. Watching Daniel Tiger while waiting for the lumbar puncture. Lumbar puncture complete. After not being able to eat all morning, he is always hungry when he wakes up, so we always have a bag of snacks ready to go. By the time we get to daycare, he is usually asleep, which works out well because it it usually nap time when we arrive around 12 or 1pm. This past Sunday was Laurel's 5th birthday, which also means it was the 2nd anniversary of Elliott's cancer diagnosis. It is hard to believe that so much time has passed and just what normal has become for our family. It has been a long journey, but we finally feel like we are in the home stretch. (A really, really long home stretch). Though prednisone turns him into a wild man once a month, he is still the sweetest child I've ever encountered and we are truly blessed that Elliott has done so well during treatment. At the bottom of the post you will find a video we took of the breathing problems that eventually led to Elliott's diagnosis. Day 725: Elliott watches Zootopia while the clinic. Day -5: Laurel's 3rd birthday party, just days before he was hospitalized. Day 698: Elliott models his new hair cut while at chemo. Elliott had his monthly visit to the oncology clinic yesterday. He continues to do well during the maintenance phase of chemotherapy. It has been a busy past two months at the Cody house; Kyllan's birthday, Mother's day, UD graduation, Elliott's birthday, Laurel's pre-K graduation, Laurel's 1st ballet recital, Memorial Day, and Father's day, on top of our already incredibly busy regular schedule. Every weekend we've been ripping and running, and Elliott has not missed a beat. Last summer he had just received permission to be around other children and still did not have much energy. While we managed to have a lot of fun, we were very particular and extremely cautious when taking him out. This summer he is enjoying being a regular little boy and doing (almost) any and everything. He is full of energy and everyday he ask about riding his balance bike, going to the park, and the next time we can go to the science museum. I think it is going to be a fun summer. More importantly, I think he thinks it is going to be a fun summer. In other news, Elliott finally received haircut #2. His hair was still falling out until recently, but the loss was slow enough that the new growth was keeping up and it always looked about the same length. At age 3, he just now had enough growth to need another haircut. These curls weren't as hard fought to come by as the ones during intensive chemo, so Kyllan let me get more cut off this time. She claims he is almost unrecognizable without the curly afro. To me he just looks like a big boy version of Elliott. Thank you to everyone that has and continues to pray for Elliott. This was the second visit in a row that Elliott's doctor mentioned how close he is to completing treatment. Yes, November 2017 is considered close when you look at the number of treatments between then and now, vs how many treatments he has had so far. I remember early on in treatment when asking about the next month was considered getting ahead of ourselves and were encouraged to focus on getting through the month we were in. Elliott has come a long way. Day 668: Elliott enjoys a trip to Fossil Rim Wildlife Center on his birthday weekend. It has been an entire year since Elliott was cleared to interact with other children and go to public places. Though he didn't immediately return to school, he started attending parties, going to museums and visiting the zoo. In fact, the day he was cleared was Laurel's school Easter party. This year he had a chance to enjoy his own class party with his own school friends. Elliott continues to do well during the maintenance phase of chemotherapy. Some of his usual patterns have changed as the dosages of medication increase due to growth. The sleepless nights seem to have gone, but the prednisone rage is still here. On two separate occasions this past week Elliott told us, "My chemo is hurting." We haven't actually figured out what he means by that, but a hug seems to make it better. Both times were over a couple of weeks out from his clinic day when he receives higher dosesof medication, so we don't think he is responding to any specific pain. I'm hoping that this is all from Elliott realizing that if he mentions chemo and pain that he gets a lot of attention. At the end of February Elliott had the chance to a student of mine that is 4 times cancer survivor. She credits a bone marrow transplant in high school with saving her life and recently decided to hold a bone marrow registry drive on campus. I was amazed at the number of people that showed up and took cheek swabs to be added to the database. She shared her story with me when Elliott was diagnosed and it really helped me feel confident that he will not be defined by cancer when he gets older. I was glad the two of them had the chance to meet. My parents were in town for Easter this year. We enjoyed brunch with them, Kyllan's parents, and her sister's family. We celebrated my birthday earlier this month as well. Elliott's birthday is quickly approaching, along with Kyllan's birthday and Mother's Day, so next month will be pretty busy as well. We will try not to take so long to make the next post. Elliott has been in the maintenance phase of chemotherapy for almost a year. He is slowly but surely starting to catch up in some of the areas that the intensive chemo slowed him down. We are starting to see him run, jump, and dance more. Also, last month Elliott received a haircut. Though he is two and a half, this was sort of a big deal for us. It was Elliott's first haircut! In 2014 I planned to take him to get a haircut before his 1st birthday, but Kyllan asked me to wait until after the party. That turned into waiting until after Laurel's 3rd birthday party, which was the week he was diagnosed. His hair has fallen out and grown back several times since then, once even coming back blonde. For the last several months it was falling out too quickly for Elliott to need a haircut, but slow enough that he had a full head of hair. For a long time his hair stood in as a sort of proxy for how well he was doing. It is good to be at the point that his hair is just hair. Day 575: We got ready to take Elliott his medication, only to find him asleep on the stairs. Elliott's treatment continues to go well. No serious side effects of chemo during maintenance, however, he is having more and more stomach discomfort and irregular sleep patterns. This happens to also wreak havoc on his parent's sleep patterns. For the past two months, Elliott has been waking up several times a night complaining about stomach pains. He's still pretty tired when this happens, and it appears that he doesn't always make it down stairs to to find mom and dad's room. We've caught him stretched out on the stairs asleep a few times. (Don't worry; I carry him back to his bed so his sister doesn't literally stumble upon him in the morning.) Clinic week, like this week, is a whole different story. One of the medications Elliott takes during clinic week leaves him wide awake all night. Saturday and Sunday he was up until the wee hours of the night talking, wanting to read books, and playing cars. Even Laurel is complaining about him coming into her room in the middle of the night wanting to play. It will wear off in a couple of days... hopefully. Day 570: Elliott enjoys a lollipop while at chemo. He has learned that we generally let him whatever he wants while at clinic. Climbing playground equipment is pretty new for Elliott. Day 520: Kyllan watches as Elliott and Laurel open gifts on Christmas day. The Codys had a great Christmas. With Elliott continuing to do well in maintenance phase we were able to all sorts of little things that help make that time of year feel special, like decorating the house, driving around to look at Christmas lights, and watching our favorite Christmas specials on TV. And yes, for those wondering, the kids had lots of presents to open Christmas day. We took a break from all the hustle and bustle this Christmas and really enjoyed spending time together as a family. Photos from Christmas can be found here. Elliott has been healthy enough to travel for a few months, so we finally worked up the nerve to give it a shot and flew to Jacksonville to visit my parents for New Year's. The trip marks the first time Elliott has been outside of the Dallas area since his diagnosis. We visited my parents last May, before he first stated developing symptoms, but an impromptu trip to Disney World limited the amount of time my parents were able to show off their grandchildren. This trip my parents held a reception at the house so that their friends and colleagues could see the kids. So many have been praying and thinking about Elliott, yet so few had actually met him. My mom called it the Orange Party, with the color orange representing leukemia awareness. Of course Laurel enjoyed the attention too. Day 29: Elliott falls asleep while receiving chemo at the clinic. This past Tuesday was Elliott's oncology clinic visit. He is doing well. Elliott's physicians are still making adjustments to his medication to keep his immune cells at the appropriate levels, but these changes were to be expected. As he has grown older, and more accustomed to feeling good, Elliott has become less and less patient during chemo. He's known as one of the calmest kids in the clinic, but this week when he woke up from the anesthesia for his lumbar puncture he was the most agitated I have ever seen him. He even managed to dislodge the needle in his port. It took about an hour to calm him down. Even then, it took one of his physicians making funny faces and giving him a very loud toy truck. Five minutes later he was asleep and snoring. Elliott is getting much better at telling us how he is feeling. Yesterday he told his mother that his back hurt and pointed to the location of Tuesday's lumbar puncture. A few hours after tacking medication that can cause nausea he told her his stomach hurt. It has really helped with us with understanding some of his behavior and enabled us to better respond, though Elliott's usual suggested solution is chocolate milk. Interestingly, a few weeks ago Laurel saw his port while Kyllan was changing his shirt and asked if it hurt when people touched it. Kyllan and I both began to respond, "no," when Elliott interrupted and told her "sometimes." We are still trying to figure out if it is causing him some discomfort, or if he is referring to when they access it with a needle at the clinic to administer medication. Thank you everyone for your continued thoughts and prayers, especially those in Jacksonville that stopped by the orange party to see him. This year has been incredibly hectic. We are hoping that 2016 will be a boring year with no surprises. Day 520: Elliott checks out his stocking on Christmas morning. Day 494: Elliott hangs an ornament on the tree. Day 507: Elliott is not happy about being out in the cold to take a picture for the Cody family Christmas Card. The Cody family Christmas card. As always, they were sent out late. Day 474: The better Elliott feels, the more he dislikes going to chemo. During this last treatment he refused to let me put him down and later fell asleep in my arms. This time last year Elliott was required to spend a week in the hospital every other week while on intensive chemotherapy. For a while it even looked like we would be celebrating Thanksgiving day in the hospital. We weren't able to travel and visitors were restricted during the holidays. This year Elliott is only visiting the oncology clinic once a month for chemotherapy, I can't remember the last time he was in the hospital, and there was never any thought on him spending Thanksgiving anywhere but with family. Elliott continues to do well in the maintenance phase of chemo. He is growing every day. His physicians even had to recalculate his medication to account for how much he has grown since starting this phase of chemo in February. Speech therapy is going well and his vocabulary continues to grow. He tells us "I love you" so much, it would be annoying if it weren't so cute. Potty training is going well and a few weeks ago he was promoted to a new room in daycare. Whenever a family in his new room learns of his diagnosis they seemed shocked. It is great that Elliott's health has improved to the point that when people meet him for the first time they see him as a happy, healthy little boy. Kyllan's parents hosted Thanksgiving dinner. My parents were in town, as well as two of Kyllan's cousins and their families. Add in Kyllan's sister and her family, plus a few other family friends, and it was quite the crowd. I barely saw Elliott all night; he was busy running around and playing with all the other kids the entire night. He had a great time! Below is a picture from our trip to the Dallas Arboretum. Like the Perot Museum of Science and Nature, and the Dallas Zoo, we started a family membership when Elliott became healthy enough to be in crowds. Below that is a picture of the kids on Halloween. Elliott had a lot of fun this past month just being a kid. Thank you to everyone for your continued thoughts and prayers. Day 446: Elliott has a snack while receiving immunoglobulin to boost his immune system at the oncology clinic. Tuesday was Elliott's clinic day. He continues to do well during the maintenance phase of chemotherapy. During this phase he receives low doses of chemo daily at home and visits the oncology clinic only once a month more intensive chemo. He can be a little irritable 2 and 3 days out from the clinic visit, but by the weekend he is usually back to his usual self and ready to play. One of the more frustrating aspects of Elliott's treatment has been our inability to communicate with him verbally. He was diagnosed at 13 months and has never been able to tell us what hurts, when he feels sick, or when the side-effects of chemo are starting to kick in. For over a year we have over analyzed every whine and every cry in an attempt to separate out the normal toddler complaints from the childhood cancer ones. That is, up until recently. About two months ago Elliott started attending speech therapy. The results were almost immediate. He went from a very small vocabulary to short sentences in a matter of weeks. Phrases like "more milk, please," "bye-bye daddy, have a good day," and the always heart-warming "I love you" are now common. In fact, he appears to have memorized every word of Brown Bear, Brown Bear, which he recites every night at story time. He still has trouble using his words when he agitated and not feeling well, but the guessing game is always a lot easier now. 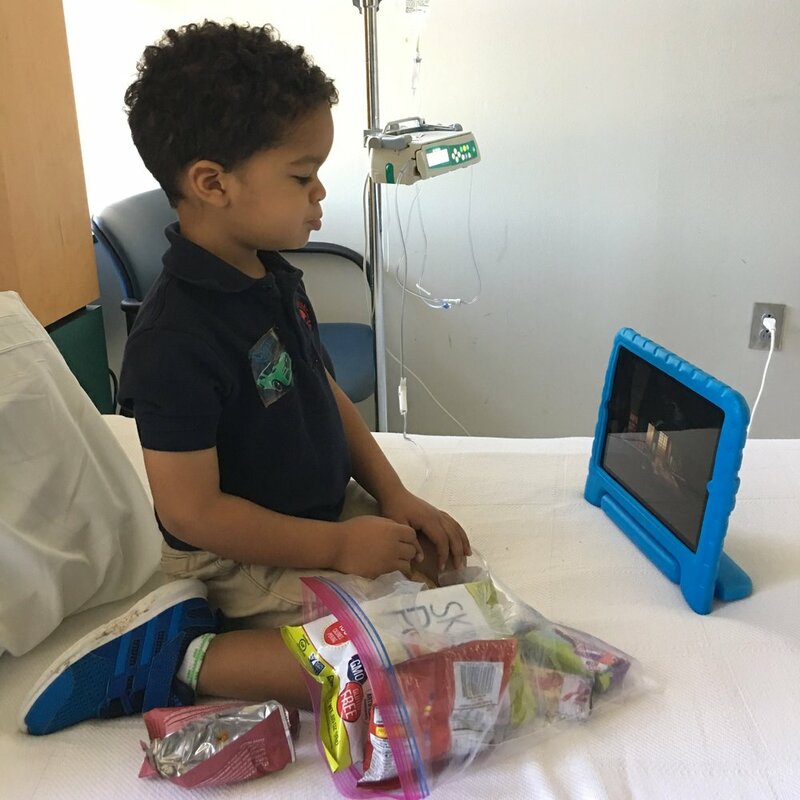 Day 389: Elliott plays a game on an ipad while receiving chemotherapy. Kyllan had neurosurgery this past month to remove a cavernous angioma. We have known about the cavernous angioma for nearly a decade, but earlier this year it caused her to have several seizures. She planned the surgery several months ago, knowing that she would would feel much better about Elliott's treatment once he past the one year mark and could better focus on her own. I am relieved to say that she has made an amazing recovery. Within 24 hours she was walking around the hospital and stopped taking her pain medication. Within 48 hours she was climbing stairs. She was discharged after 3 days and attended Laurel's 4th birthday party after 7 days. Last week she returned to work. It has simply been amazing watching her. With her miraculous recovery, and Elliott continuing to do well in maintenance, we have really tried to enjoy the last little bit of summer. But, back to Elliott Blog. Elliott is doing great. Laurel flew to Jacksonville, Florida after her birthday party to give Kyllan a few more days of rest after her surgery. We still are a little to paranoid to send Elliott out of town without us, and away from his doctors, so he stayed in Texas with us. Elliott loved every minute of it! It was like he couldn't believe he was getting so much attention. He was happy to have his playmate back when Laurel returned, but it was also a bit of a shock to have someone competing with him for mommy and daddy time. Last week was Elliott's oncology clinic week, which also more prednisone. It is notorious for causing steroid rage. This past week Elliott was like the Hulk, you wouldn't like him when he is angry. He completed this month's dose over the weekend and he is already returning to normal. Below is a video of my swinging with Elliott in the backyard. He thought this was just the funniest thing ever! On social media, Thursdays have turned into #throwbackthursday, where people post photos or reminisce on old times. Today, Thursday, was a bit bittersweet for us. Exactly one year ago today on July 23, 2014, William and I got a call from the pediatrician's office telling us they had the chest x-ray results back for Elliott and they scheduled us for a 1pm visit with a pediatric cardiologist because it appeared he had a mass in his chest covering his heart. I have to admit, William and I were not really nervous or worked up about the request. Elliott had been having some congestion and difficulty breathing for about a month, so we were hoping to finally get some answers and some relief for him. We picked up Elliott from daycare (yes... he was actually at daycare playing with friends), and rushed him down the highway to meet with the cardiologist. Elliott missed his nap that day and was pretty fussy, but became even fussier when he had to lay flat on a table for the technician to complete an echocardiogram. He was having difficulty breathing and it only got worse as the exam went on. The technician completed the study as quickly as he could and then the cardiologist came to talk with us. He told us he wasn't sure what he was seeing, but he needed to run further tests to confirm and rule some things out, so Elliott would need to be admitted to the hospital ASAP. He then walked with us down to the emergency room and later up to the congenital heart unit (ICU). We thought worse case scenario, Elliott had some sort of mass, would need to have surgery to remove it, and then we would go home. In hindsight, that may have been easier to swallow. After a series of lab tests, we learned the next day on July 24, 2014, our daughter's third birthday, that Elliott had T-cell acute lymphoblastic leukemia. I have no idea what I felt at that moment. I think my mind has fought to hide that memory from me. We had no idea what to expect next, but here we are 365 days later and Elliott is doing amazingly well and adds such joy to our family. What a blessing!! I do remember that after hearing the news and going over some general information with the oncologists, William and I went across the street from the hospital to Chipotle to get lunch. It was one of those moments that seemed so surreal. I imagine we both looked like we had just been in a horrible accident. We sat down and ate our rice bowls and both fought to hold back the tears. From the beginning, the oncologists took us step by step through the treatment process and told us about the success of this treatment protocol in treating leukemia. I had full confidence in our doctors and in God that we would come out victorious and we have! Elliott is still undergoing treatment, but he is in remission, lab tests reveal his body is responding well to the chemotherapy, he is back at school and getting a chance to "be a kid" again, and he is full of energy and life. I was a bit nervous about him starting school and being exposed to new germs, but he is doing great and his immune system, while still compromised, is holding up well. We are so thankful for the countless prayers, phone calls, cards, text messages, flowers, food, gifts, and each gesture of love and support from so many people. It really kept us encouraged and continues to do so today. I wanted to make this post tonight, because tomorrow and the rest of this weekend, we are going to focus on Laurel's 4th birthday and celebrating life! This has been a rough year for the Cody family, but we so grateful and so blessed and are happy to share our joy with each of you. Elliott and Laurel are with my parents this week, so the first photo below is actually a few weeks old. He has even more hair now and has put on a little more weight. He has come such a long way!! Elliott: Day of diagnosis: July 24, 2014 (intubated, chest tube (to drain fluid around lungs), pericardial drain (to drain fluid around heart)...fully monitored. While this photo is difficult to look at, seeing him struggle to breathe was much worse. Day 355: Back to School! Last week Elliott returned to school! This has been one of the big milestones we have been looking forward to in his recovery. After waiting for him to complete the first round of the maintenance phase of chemotherapy, and growing comfortable with his health around other children, it was finally time. As we approach the 1 year anniversary of his diagnosis, it is amazing to see just how far he has come. Initially we were concerned that Elliott would be shy and timid after spending so much time isolated from other children. It has been the exact opposite. Elliott loves spending time with other kids and his first two weeks have gone great. Kyllan tells me he cried a few times when she dropped him off, but that had stopped by week two when I dropped him off. We thought he would come home tired after a long day of playing, but he is actually coming home with more energy. He has also picked up some good eating habits from his classmates. He has been eating more since he returned and seems to have gained so much needed weight. Big sister Laurel has been so excited for Elliott's return. To her, this means that Elliott is all better. We know he has a ways to go, but it feels a bit like that to us too. Day 341: We love Rachel! Today was a bittersweet day. It was Rachel's last day and Elliott is preparing to return to school on Monday after the 4th of July weekend. Rachel has been a part of our family for close to a year now and we have been so blessed to have her. She has been to all of Elliott's clinic visits, stayed in the hospital with him during his hospitalizations, took him to physical therapy and helped him learn to walk... she has truly been amazing. Without Rachel, William and I would have not been able to continue to work and support our family. Elliott quickly adapted to being with Rachel everyday and he was comfortable with her from Day 1. I thought we might have a hard transition, but when I would head out the door to work, he would always say "bye, bye" with a big smile and I was happy knowing he was in excellent hands. We will miss her dearly, but look forward to seeing her again soon when she comes to babysit or just hang out. Next week, Elliott will transition back to daycare. Laurel is "so proud" that little brother can finally come back to school with her. She has been asking, "Is Elliott coming to school today?" for months and now the day is almost here. There was a 4th of July parade at school today, so William, Rachel, and I went up to the school to watch the parade and then Elliott got a chance to spend some time in his new classroom and play with his classmates, many of which he was in the infant class with a year ago. William and I got a chance to meet his teachers and tell them a little bit about Elliott and his fight against cancer. I think most people think that since he can go back to school, he is done with treatment, but he actually still has quite a ways to go....over two years of treatment left. However, most of his treatment is now oral medication we administer at home and once a month clinic visits. He is still considered immunocompromised and his immune system is much weaker than other kids his age, but it's just above the range need for us to transition him back to "normal activity" again. We pray he has a smooth transition back to school and stays healthy. Thanks as always for your continued prayers and support!